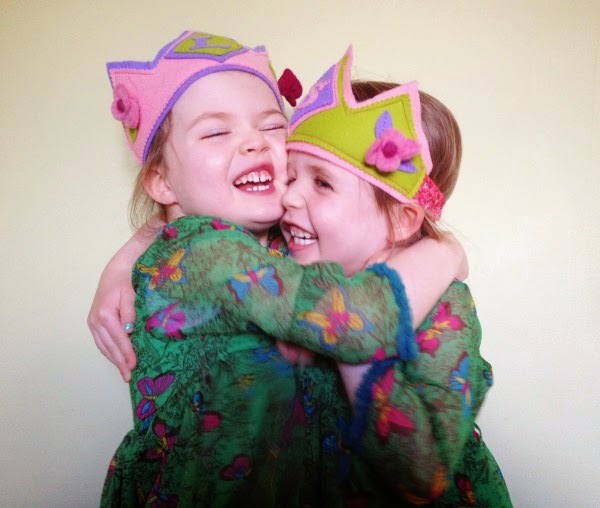 It's that time of year again - time for me to trot out the ubiquitous 'looking back' style post and to dust off my tried and tested formula (that gets trickier with each passing year) of sharing 15 moments from 2015. 13 from '13 was great fun to write so I made 14 from '14 a linky inviting others to get involved and it went really well, so I've decided to make this one a linky too. Please feel free to join in and share your 15 from '15. You can use my headings or make up your own - I'm not fussy. See the bottom of this post for more details on how to join in. My seemingly endlessly-popular Felt Unicorn tutorial is still topping the leader board for the third year running but, doing a stellar job of trying to catch up, is my Guide to Finding Fairies which I published back in February. I have since discovered several places that are missing from the list so an updated version will have to be compiled soon! While posts about fairies and unicorns prove popular with my readers, my own favourites to write are usually completely different in tone. For the last couple of years there's been at least one post that stood out to me as a clear favourite, but I'm finding it hard to choose this year. I love the posts I wrote about my trip to New York because they're a good reminder of a great experience but I also loved writing about Lile and Sábha when they were about to turn five and again when they were about to start school... so this year you'll have to make do with a top three favourite posts, I guess! I haven't mentioned this before (and shhhh, because I'm not supposed to yet! ), but earlier this year, blogging brought me on one of the best adventures yet. I got the opportunity to be involved in a new children's television series that will air in 2016 on TG4. I am one of the presenters and I was also the designer of the seven-part series, which was filmed back in May. The show will feature crafts, gardening and eco-themes and will be suitable for primary school aged children. I'll share more about it whenever I'm given the all-clear but it was a fantastic experience that I'd love to repeat! I have definitely ramped up the whole 'craft-blogger' thing this year, huh? And I've really been enjoying it too! I've shared a lot of projects here over the course of the year (which I should really add to my craft page...) and I'm also currently the craft contributor for Easy Parenting magazine which is amazing (the latest edition is in shops now!). 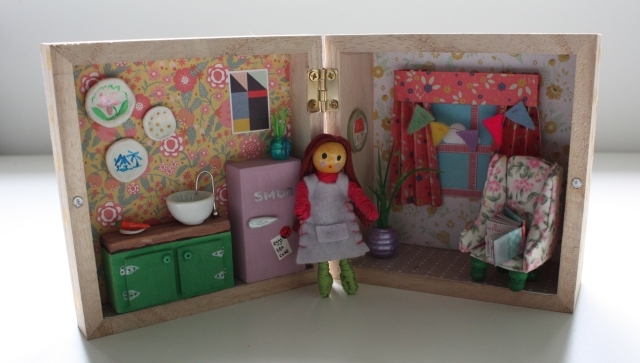 This year, I particularly enjoyed making the Bookcase Dollhouse and my loo-roll Unicorns and Reindeer but my absolute FAVOURITE has to be my (extremely) miniature Doll-House-in-a-Box which was made as part of an advent project to raise money for charity. The project, initiated by ParcelHero raised £880 pounds sterling (about €1,200 euro) for Oxfam and I'm so thrilled I got to be a part of it. 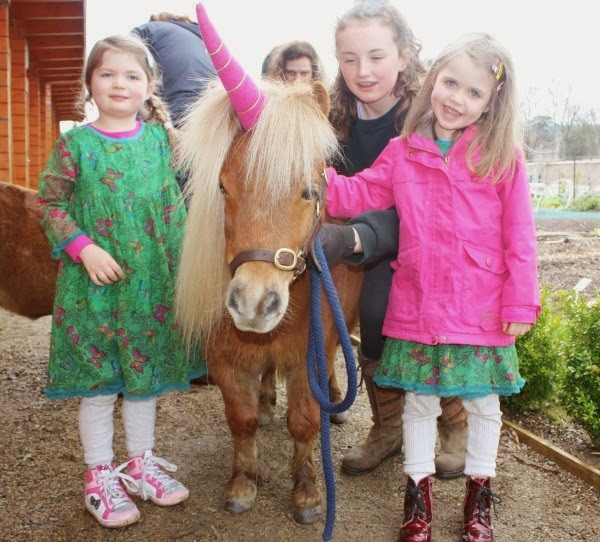 For the third year running google has mostly brought fairy and unicorn hunters to this site. And that's fine by me. Although, I reckon 'crafting' has been the real 'most common theme' this year. Ugh... more decisions to make! This is like choosing between my children as I love, love, love getting comments! Especially as the blogger platform has a tendency to eat them on people which can be a real deterrent. I do so love when Alex, The Interior DIYer leaves a comment as she always goes to the trouble of formatting her comments - adding italics and 'bold' lettering - and I don't know how she does that so it always impresses me. PLUS she always says lovely supportive (and funny) things. Celebrating Devo's 40th birthday with a trip to New York was pretty special but I really loved the party we threw for Lile and Sábha's 5th birthday too. How I managed to convince the venue to let me borrow their baby unicorns for the occasion I will never know - but the party was a big hit that I don't think I'll ever manage to top! Read all about it HERE. This year was the year I finally, finally added a personalised URL to my blog. Where Wishes Come From is already a long name without adding .blogspot into the address so I'm really pleased to have a simple .com on the end now. 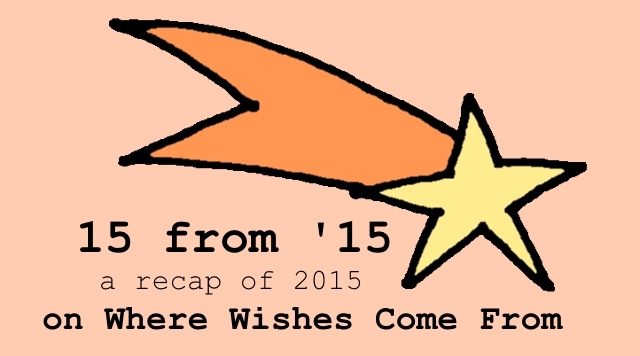 'wherewishescomefrom.com' has a nice ring to it - it even sort of rhymes. It looks a lot more professional too... not that I'm anywhere close to being a professional blogger! I have been extremely lucky this year to work with some amazing brands. From Netflix (I'm on the #StreamTeam), Zazzle and Wayfair to Claudi & Fin, Pip & Pear, The Irish Fairy Door Company and more. It's really exciting to be offered opportunities like this and I do always try to accept things to review that I think my readers will be interested in. Things that I genuinely like. 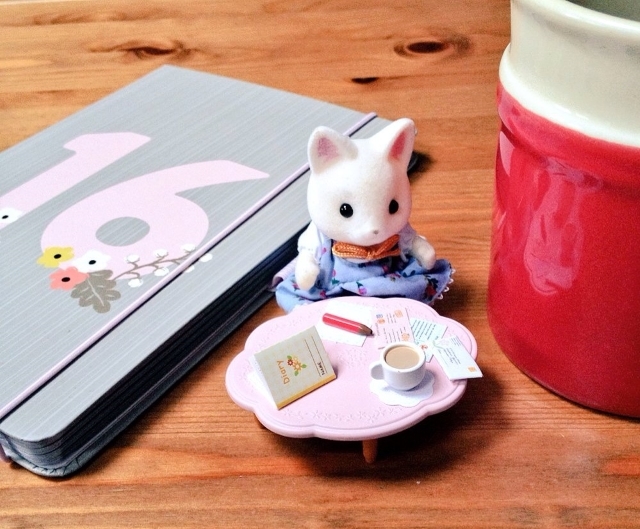 I am extremely excited to have been recently accepted as a brand ambassador for Sylvanian Families and can't wait to see what fun that will bring! This Sylvanian stuff was actually a Santa gift not a freebie! Tiffany Silk Cat and I had a lovely afternoon together today catching up on correspondence and writing our diaries. 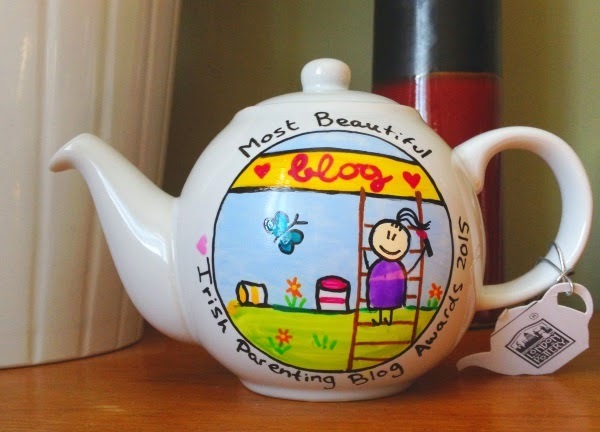 I had an amazing night in April at the Irish Parenting Blog Awards. Not only did I have great fun being wined and dined and having the chats with my blog buddies I also came home with an award! I somehow managed to snag the award for 'Most Beautiful Blog' and I am ever so thrilled about it. I'd be lying if I said that I didn't care that I didn't make the 'big' blog awards shortlist this year. After making the Shortlist in 2013 and the Finalist list in 2014 in the Blog Awards Ireland, I'd really hoped to at least make the shortlist again. But it wasn't to be. Ah well, I still had a great night out on the big night and I can always try again in 2016... maybe... if I can bring myself to enter again! Last year, I swore I'd work harder at coming up with decent titles. Most of them are still either perfunctory 'does what it says on the tin' or completely abstract... pretty much the same as they were in 2014. Maybe titles just aren't my 'thing'... although I do have a soft spot for THIS pun-tastic one. Most bloggers have a regular 'thing' that they post about. It could be a regular linky that they join in with, or a photo challenge they take part in or something a bit more specific to their own blogs. This year I've continued, somewhat infrequently, with my Not New Niceties posts which I do enjoy but my favourite series has to be the Craft Advent I hosted in the run up to Christmas. I was astounded by the amount of wonderful bloggers who agreed to get on board and who shared some brilliant crafts. delicious recipes and all-round good cheer. I am hugely grateful to them all. I have yet to pull together the 'round-up' post (Christmas got in the way) but I have collected all the posts on a Pinterest board HERE for your future convenience (and mine). This year, having fully settled into the role of stay-at-home-mum, my blog has become more important than ever to me. It's my way of keeping my toe dipped into the 'working world', my way of connecting with others in similar situations, my way of expressing my creativity (that sounds really pretentious... but it's true...), a way to record precious moments of our family life, and I hope, eventually, a way to build a little career for myself. I'm working hard on that and, if there's one thing I've learned this year, is that we never know what's around the corner so I have high hopes for 2016! Finally, I'd like to thank all my readers for your support, 'likes', clicks, interactions and for encouraging me to stay on my toes and keep coming up with new things to share. I so appreciate each and everyone of you. Happy 2016! If you'd like to join in - click this little gadget here and add a link to a similar post on your own blog! I've enjoyed your round-up post and am very excited for you with regard to your TV show! Well done! I love this linky Sadhbh. Pity I'd already done my end of year round up before I spotted yours. Fair play to you on getting a TV show. I'm dying to see it. All the best for 2016. A happy new year to you! I can't wait to share more about the show (and to see it!) and TG4 player broadcasts internationally so you'll be able to tune in too! Fab roundup Sadhbh and thanks for hosting the linky. Very excited to see the TV show, congrats!